Tavola Oak kitchen is almost unrecognisable when using a stained light oak. 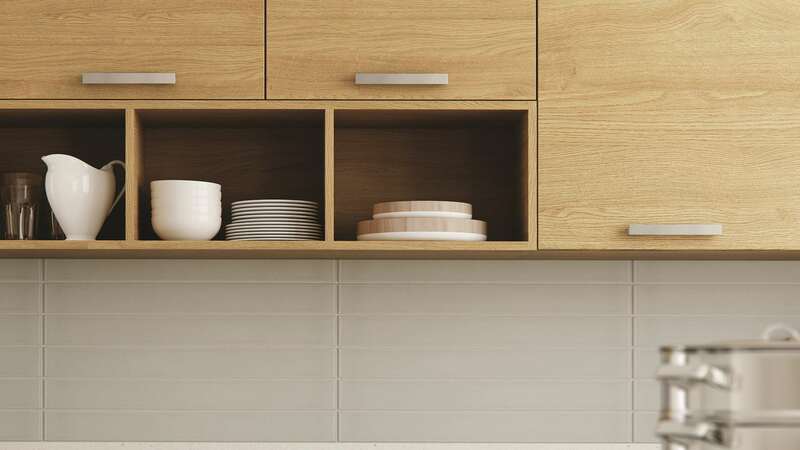 The kitchen visually changed dramatically with the simple switch between the regular oak and the lighter oak. 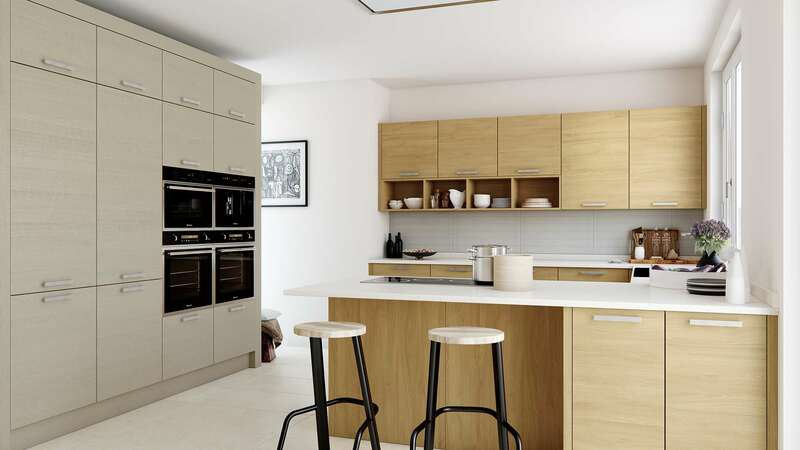 Designed with the slab horizontal grain and using both stained light oak and painted cashmere finishing.